Eating clean is better for the body, and the same applies to the air we breathe. 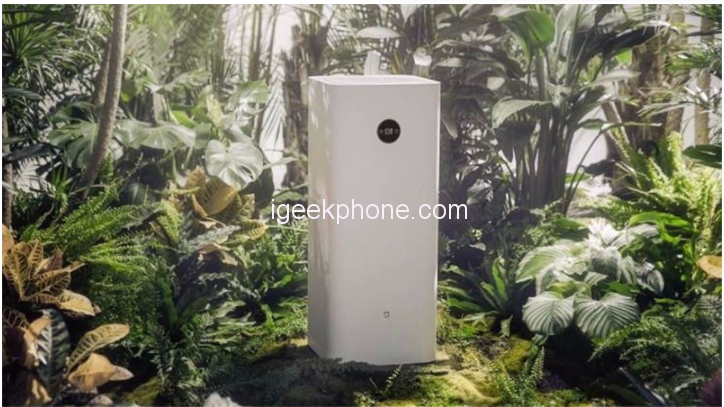 The Xiaomi Mijia Air Purifier MAX offers a high 1000 cubic meters per hour Clean Air Delivery Rate (CADR) and takes just 3 minutes to circulate purified air in a 21 square meters room. Efficient air filter comes with 3 layer filter effectively clean PM2.5 and other common harmful substances. You will have a comfortable living/learning/office environment with this Smart Air Purifier. Currently, this type of household appliances is increasingly taking hold, so Design much so that emerging companies are focusing their energies on developing products for the high end of the market, while online retailers are increasingly expanding their list. 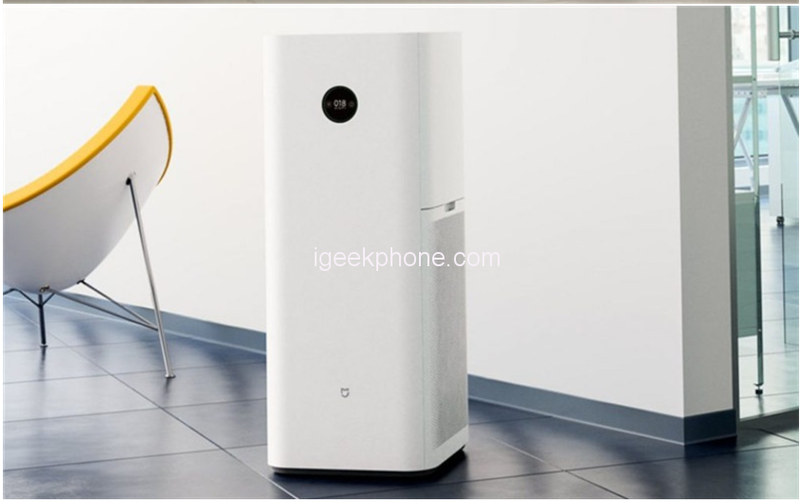 Air purifiers, including our Mijia Air Purifier MAX, they are “measured” according to the CADR unit (Clean Air Delivery Rate), which is a figure of merit (CFM) indicating the air particles removed in a certain size. Generally, the CADR value can indicate three different measurements related to smoke, pollen, dust and naturally the higher the value, the higher the representative value of the effectiveness will be, which will also serve to establish the purification power of an environment measured in square meters. For example, an air cleaner with a CADR of 800 m³ / h can meet the air purification needs of a 50-100 square meter environment. The new purifier presented by Xiaomi carries the name MAX precisely to represent the power that is hidden in its features because the CADR value of the Mijia Air Purifier MAX is equal to 1000 m³ / h able to meet the needs of a home environment of 70 / 120 square meters. Perhaps it seems a little extraordinary, but if we consider that most of the products on the market is limited to a value of 800 m³ / h, then the new air purifier really represents an interesting novelty. Dimensions equal to 386 x 386 x 965 mm with almost 18 kg of actual weight, the Mijia Air Purifier MAX can be placed in any home environment such as living room, open space, loft or according to your needs, considering that the product is highly silent thanks to a patented silencer tube and designed for noise suppression. In fact, we have a noise that ranges from one minimum of 34 dB to a maximum of 63,5 dB. Mijia Air Purifier MAX has also been updated from the internal filter point of view, because now the cartridge capacity is able to filter PM4 particulate (the harmfulness of fine particles depends on their size and their ability to reach different parts of the respiratory system), three times higher than the national standard, while the level of purified air is twice the national standard criteria. The duration of the filter depending on the environment varies from 6 to 12 months but you can go up to 2 years in the event that the user uses the purifier only during the season of pollen and allergies, thus reducing the actual cost of replacement. On the front, we find one OLED screen of capacitive touch type, which integrates the commands to set operation modes and brightness adjustment. The filters for accuracy are 2, placed on the sides of the purifier, while the company itself communicates that a 70 square meter environment can be purified in about 3 minutes and the room area does not exceed 21 square meters. In this sense, Mijia Air Purifier MAX is considered the most powerful air purifier among all the other models launched previously. Furthermore, the upper panel is detachable, so users can open it and replace the filters manually. The Xiaomi Mijia Air Purifier MAX is currently available on Banggood for $599.99 for the next 10 pcs.